The East Central Ohio Building and Construction Trades Council (BCTC) operates within the six counties of Carroll, Coshocton, Holmes, Stark, Tuscarawas, and Wayne. Th East Central Ohio BCTC’s 22 affiliated unions are made up of a highly-trained and highly-skilled construction workforce. Multiple key trade unions, encompassing every facet of the construction industry, have their principal offices in East Central Ohio, where they sponsor and operate apprenticeship training programs endorsed by the U.S. Department of Labor, ensuring the ongoing availability of highly skilled construction workers. In recent years the East Central Ohio BCTC has worked with the natural gas industry to provide tradesmen and apprentices for a wide range of natural-gas related projects. 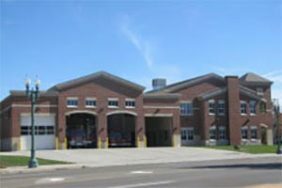 The East Central Ohio BCTC constructed Canton Fire House No. 4. East Central Ohio BCTC President Dave Kirven and his Executive Board have worked to educate the region on the benefits of Project Labor Agreements and Prevailing Wage, helping project owners to understand the benefits of using union labor on their construction projects.